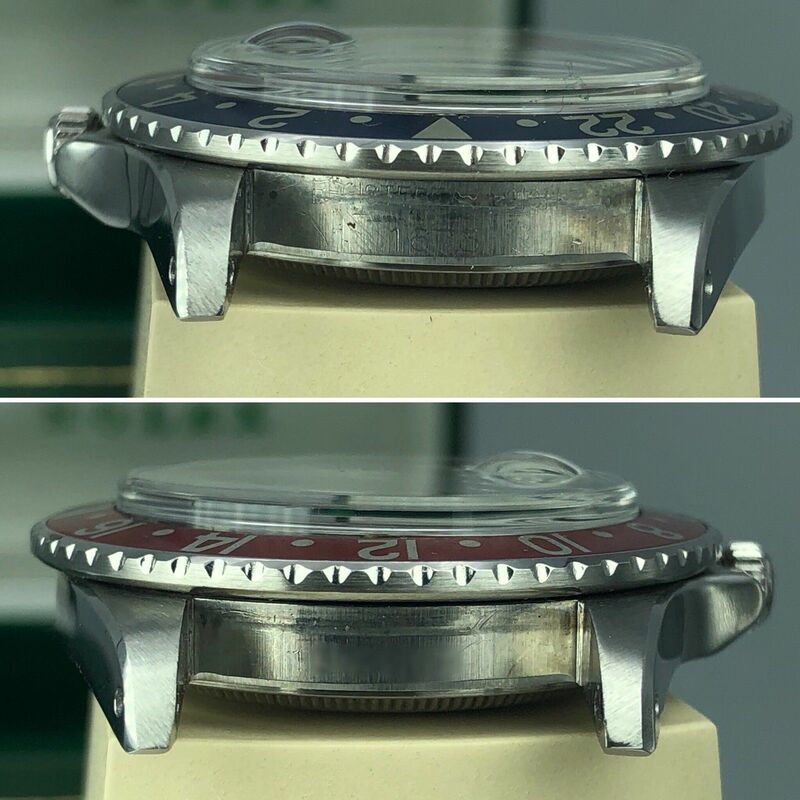 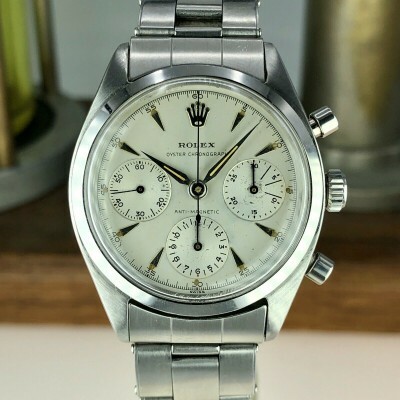 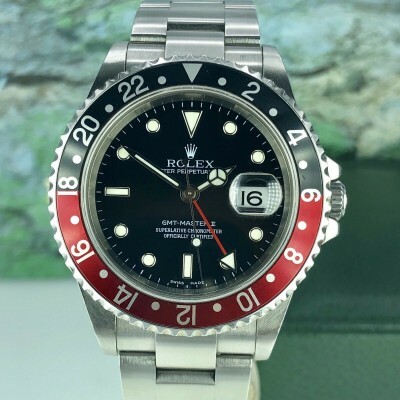 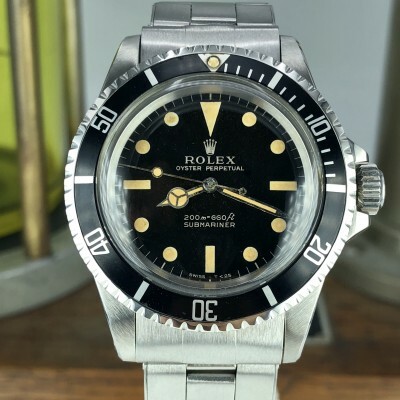 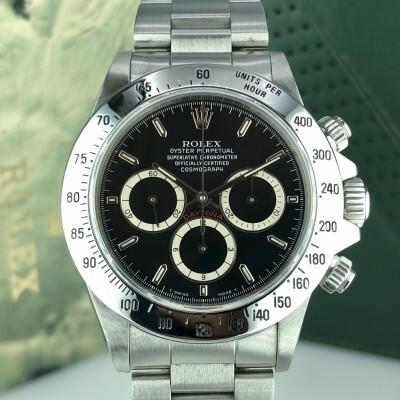 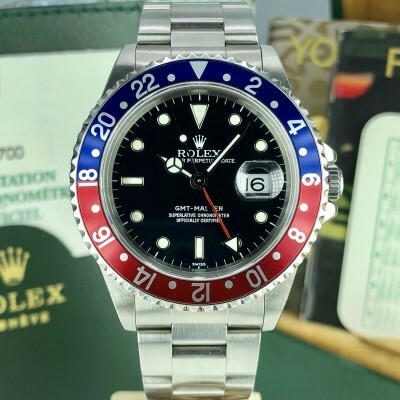 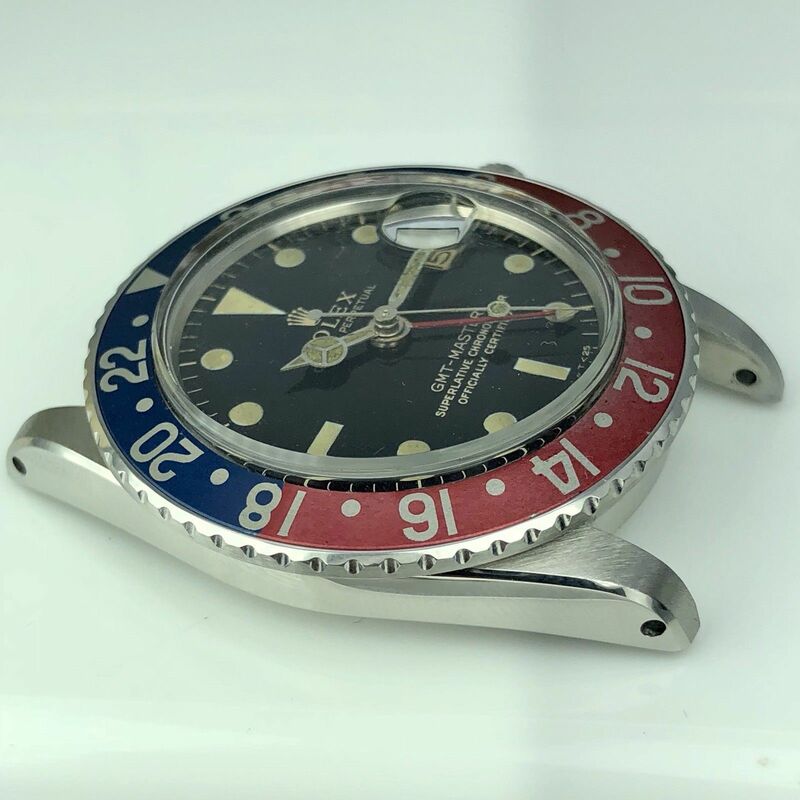 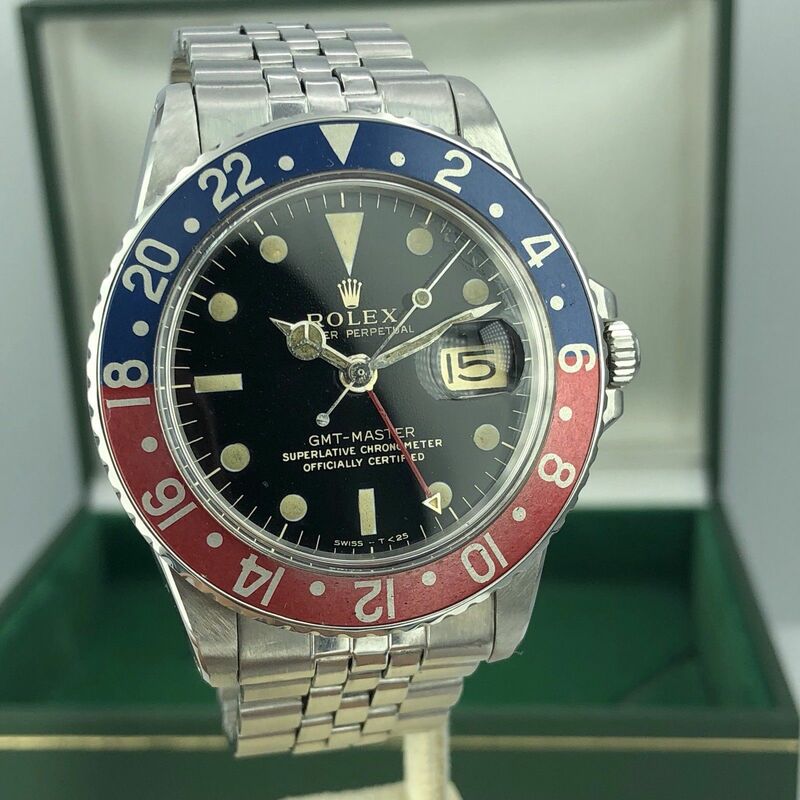 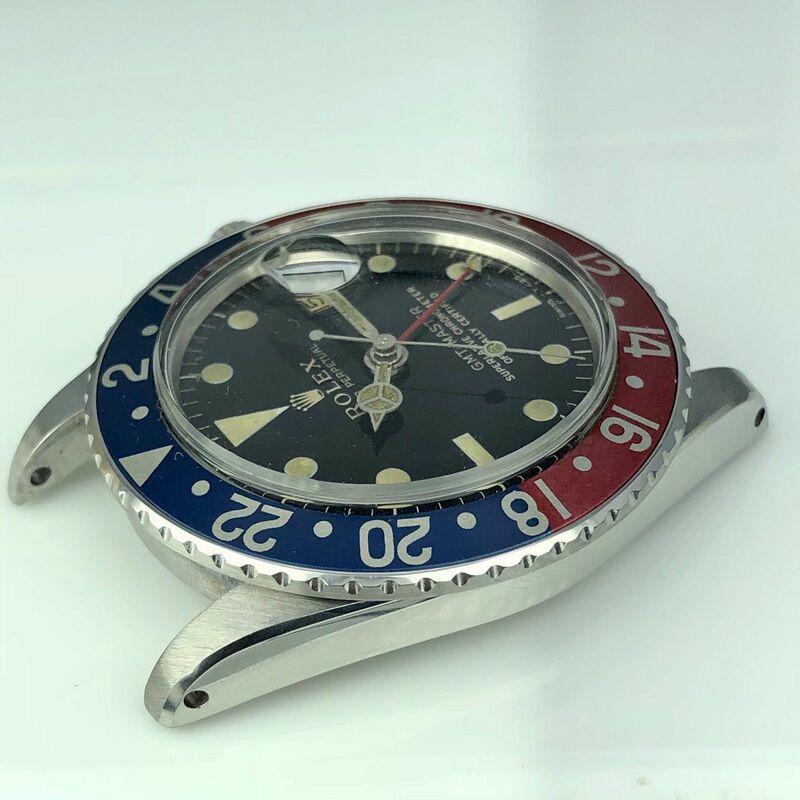 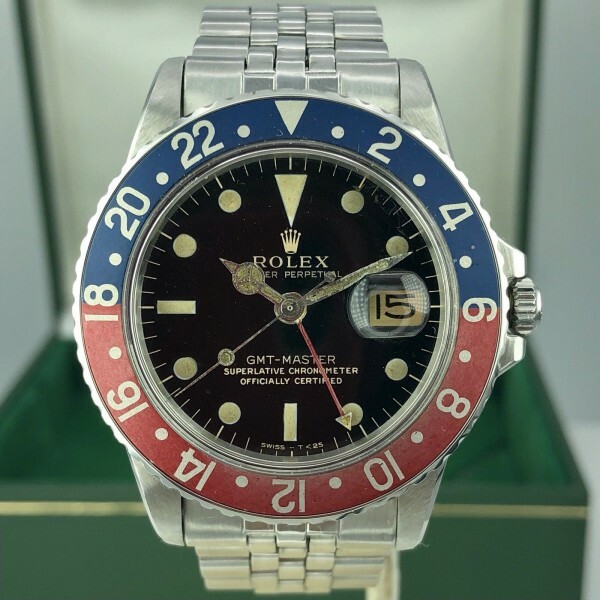 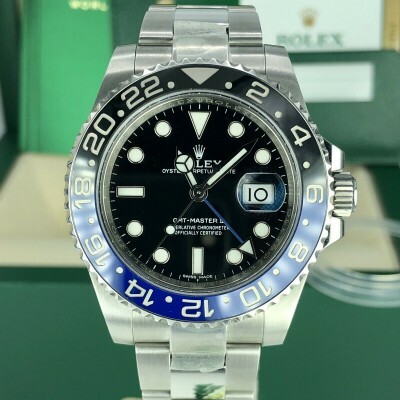 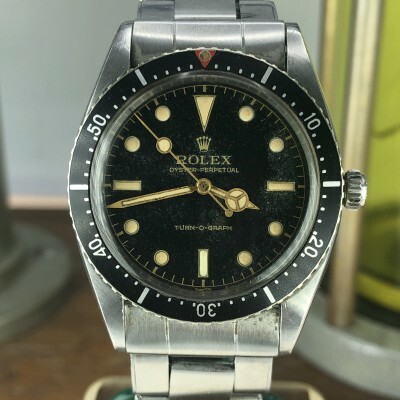 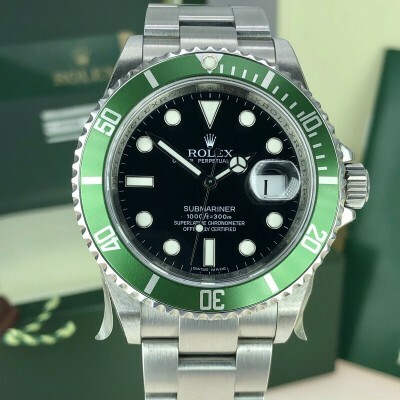 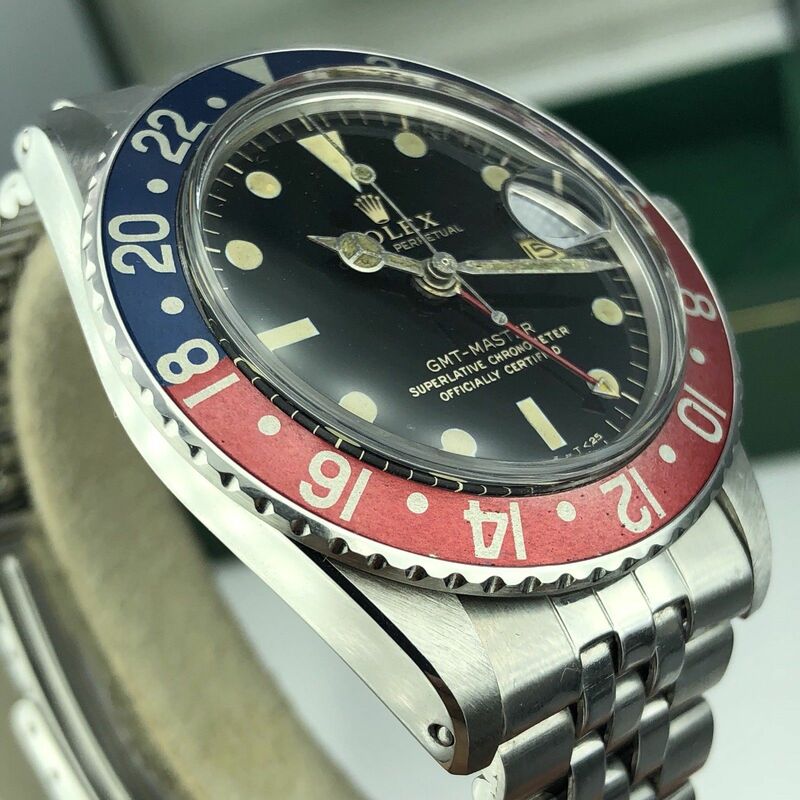 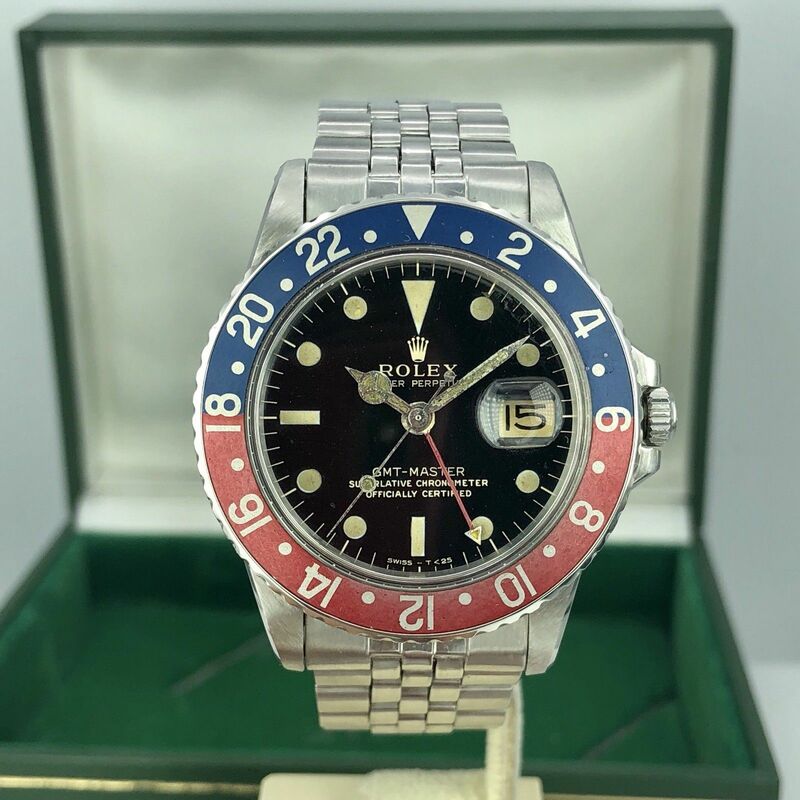 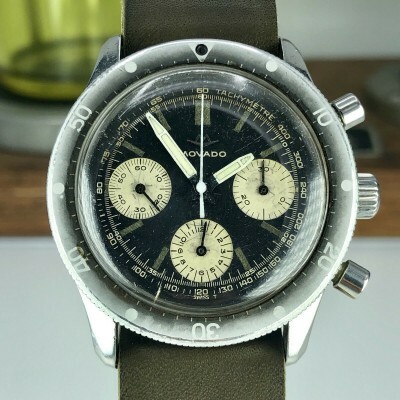 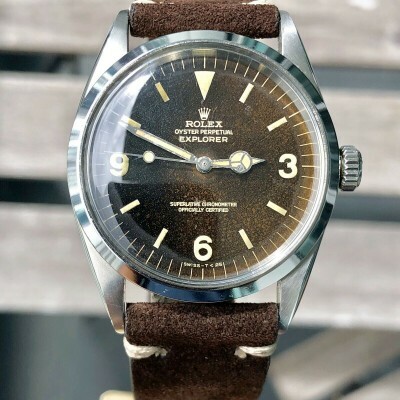 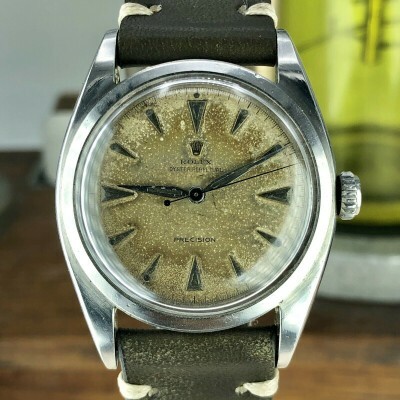 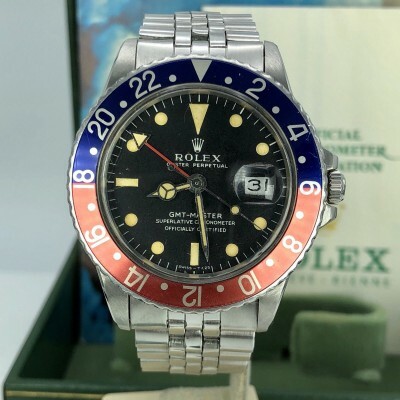 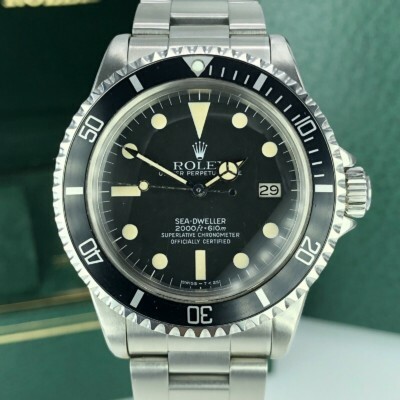 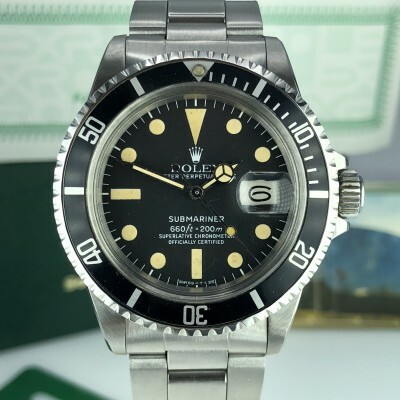 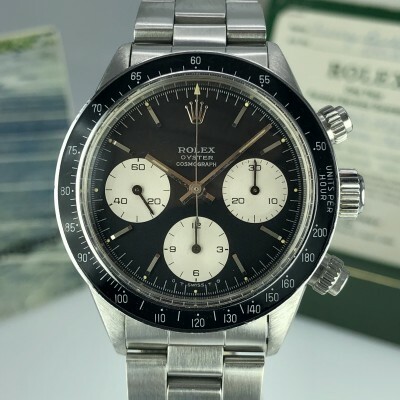 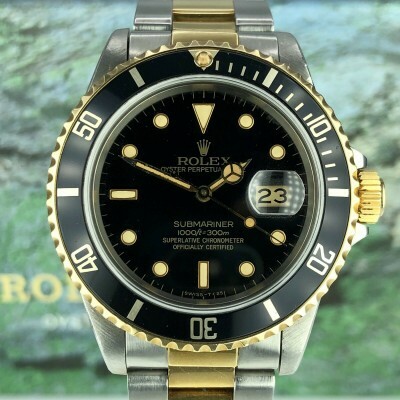 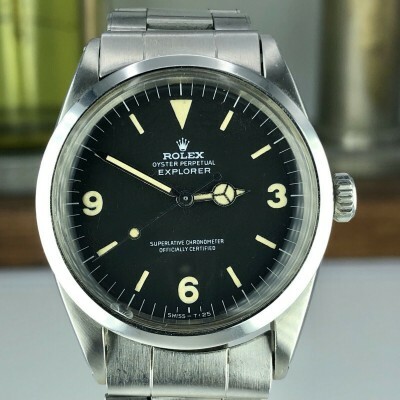 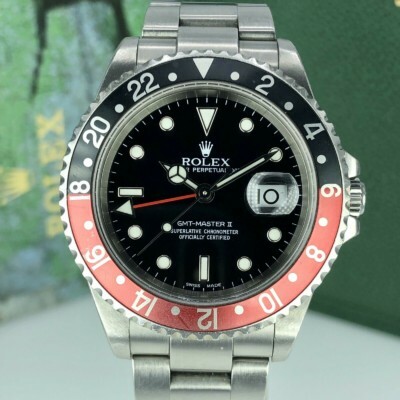 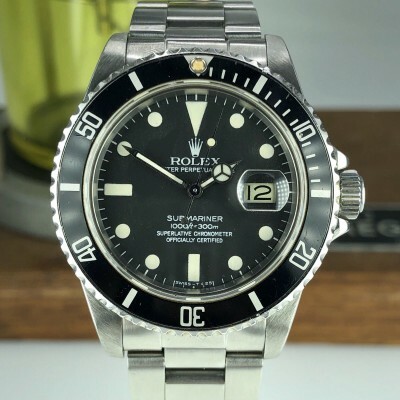 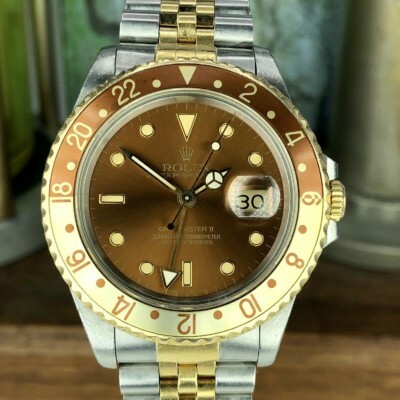 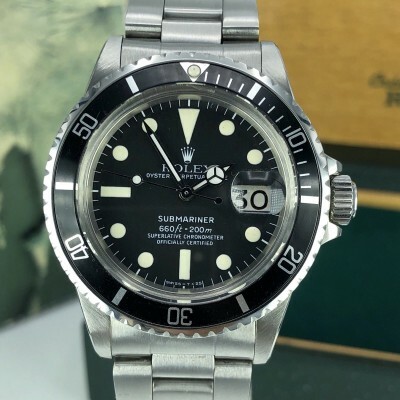 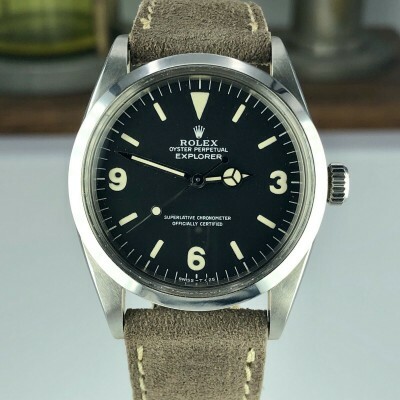 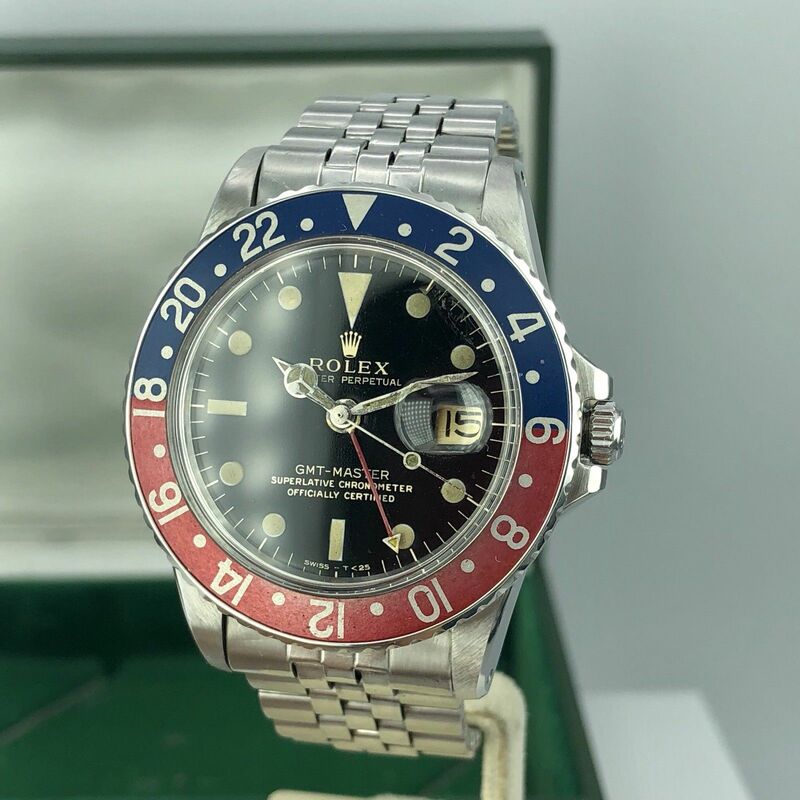 About the watch: Rolex GMT Master 1675 from 1965 (1M-serial). 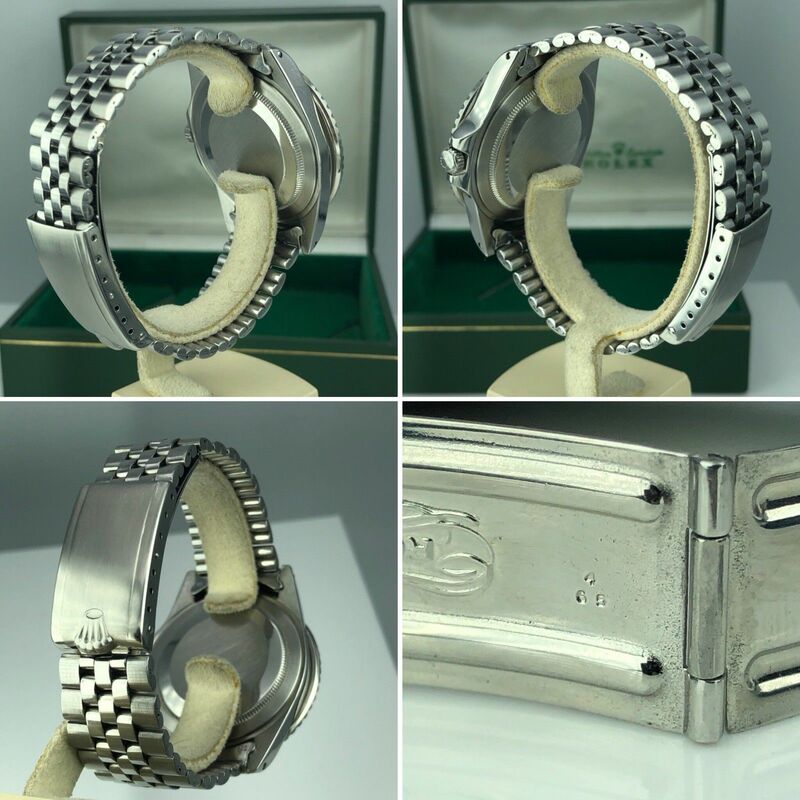 Case and Bracelet: Near Mint condition case, recently polished, All the numbers still visible between the lugs. 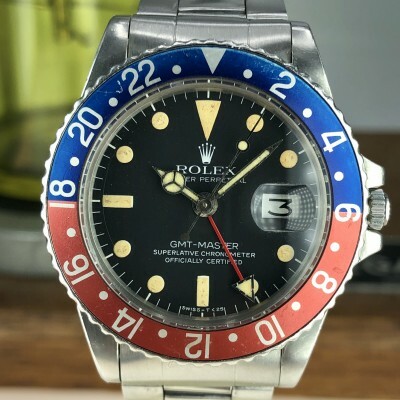 original bracelet with correct end links dated 65, Amazing original fat font insert red back and original bezel. 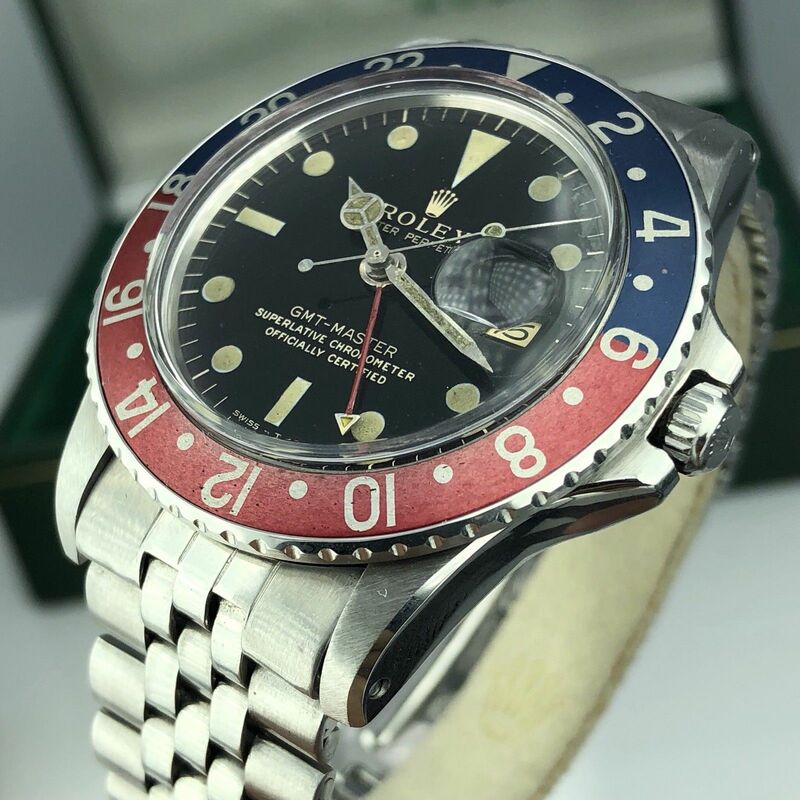 Original case back stamped II65. 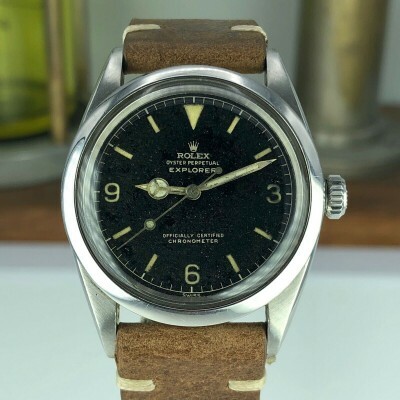 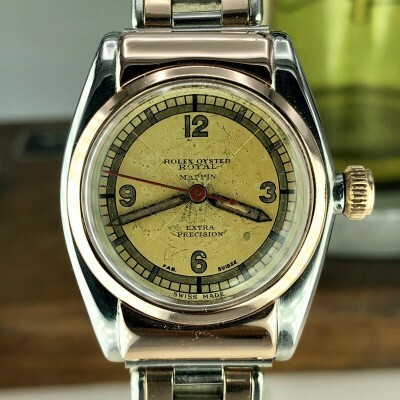 Dial and hands: untouched black gilt glossy dial has a great aged, there is a very small crack between 1 and 2 o’clock, original hands matching the dial. 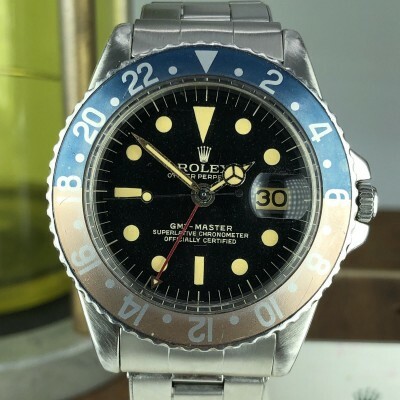 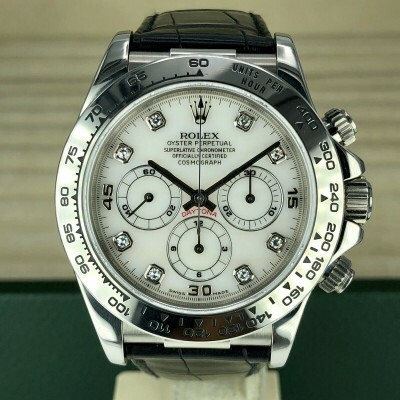 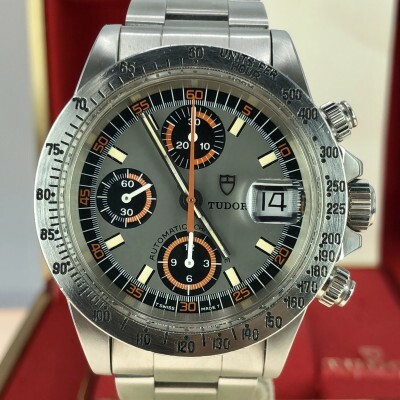 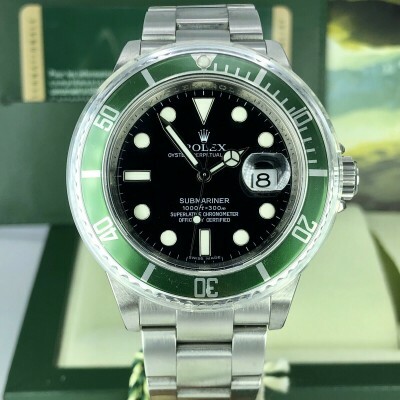 Movement: Original 1570 Movement keep good time. 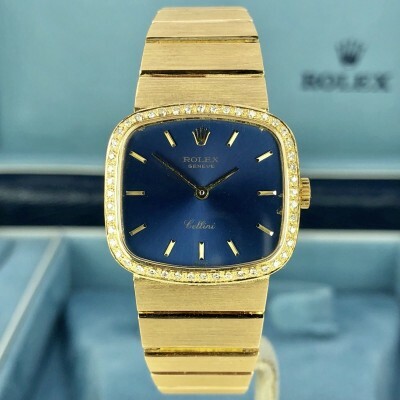 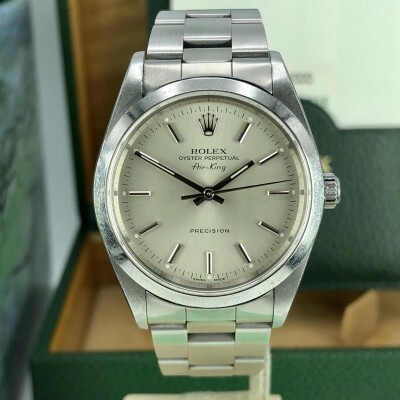 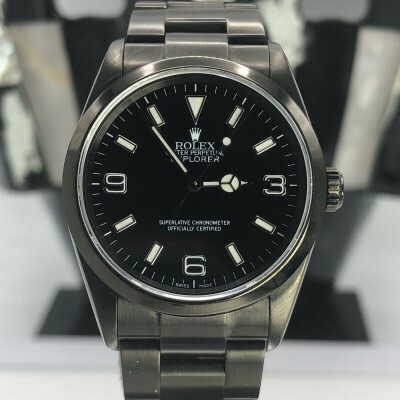 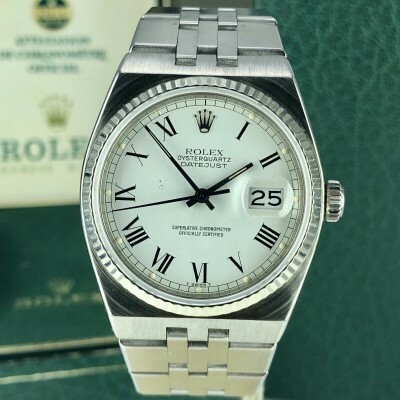 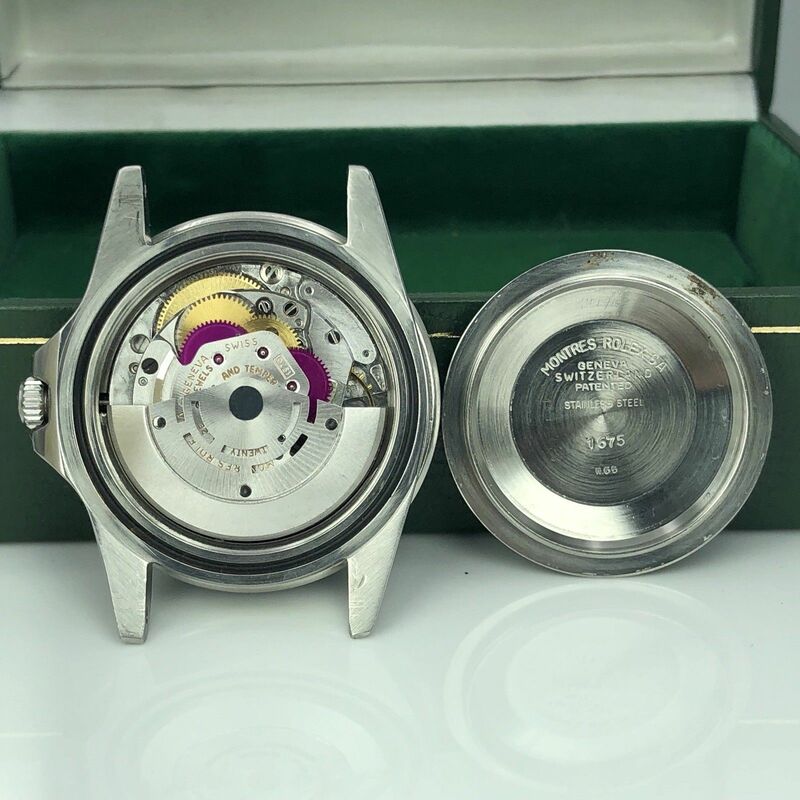 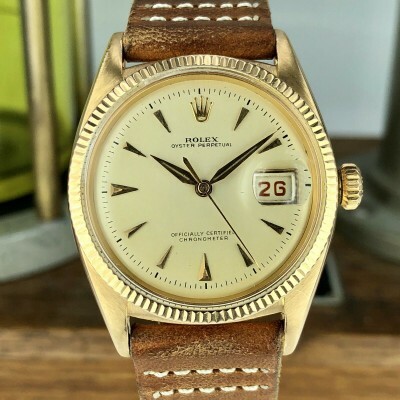 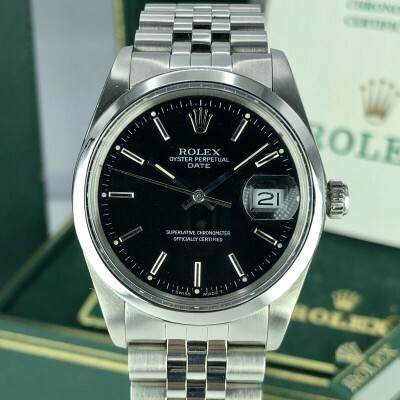 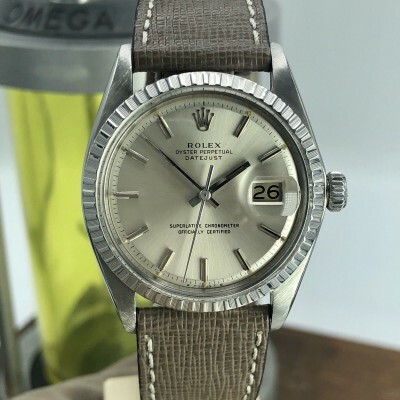 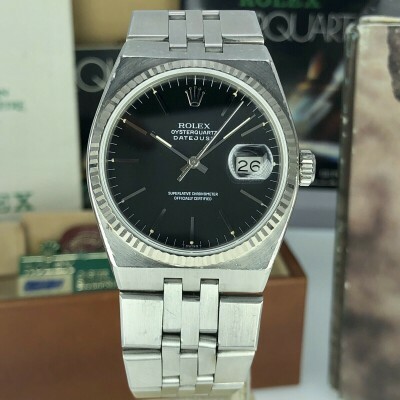 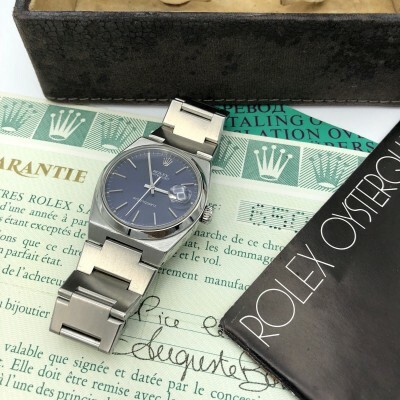 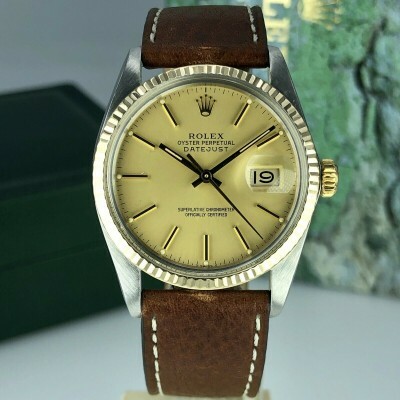 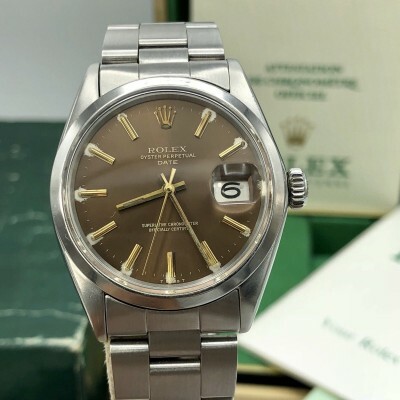 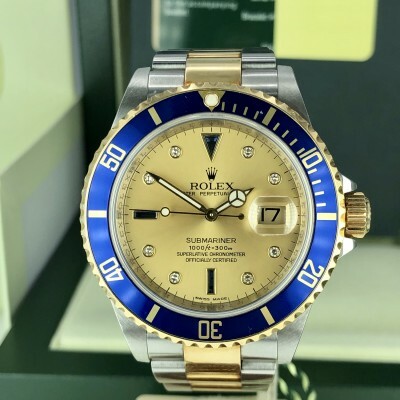 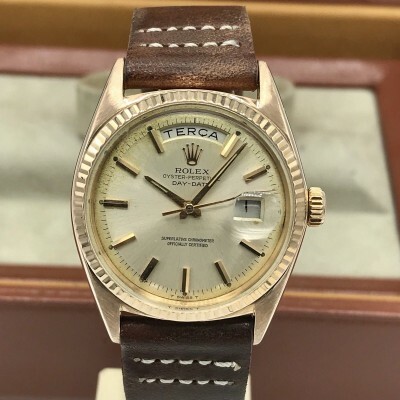 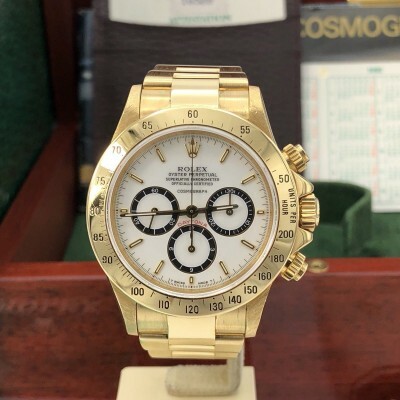 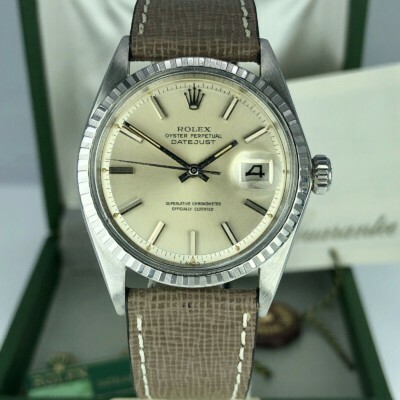 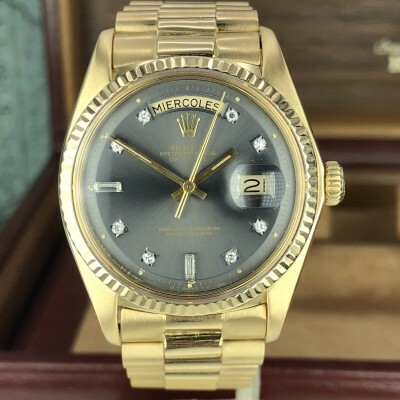 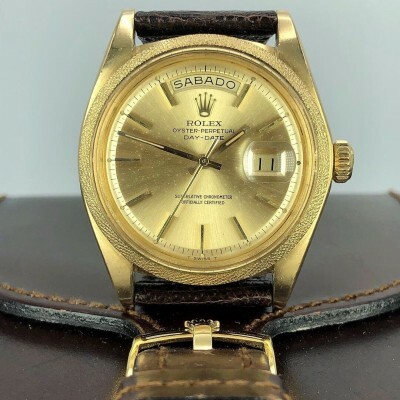 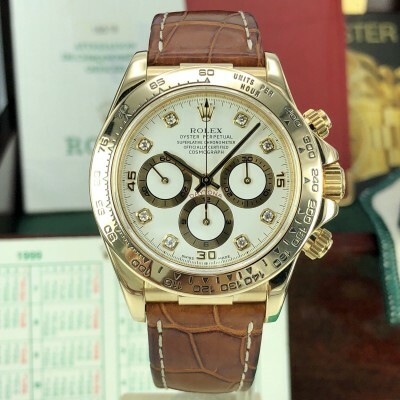 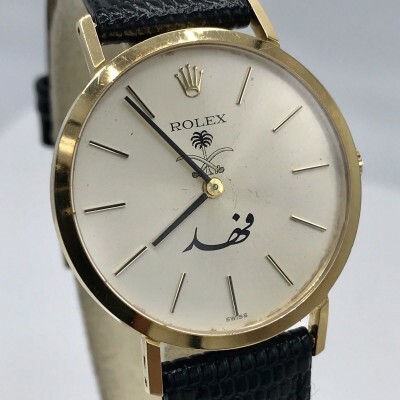 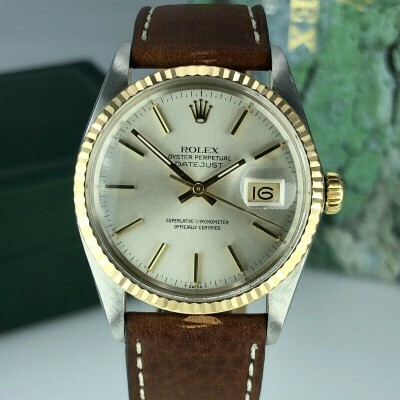 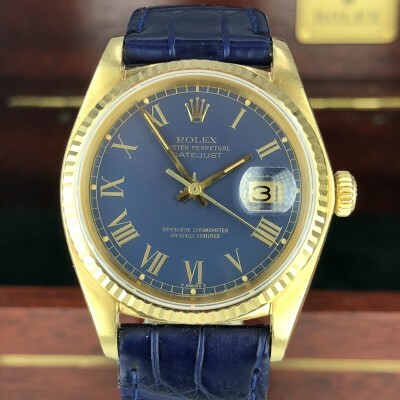 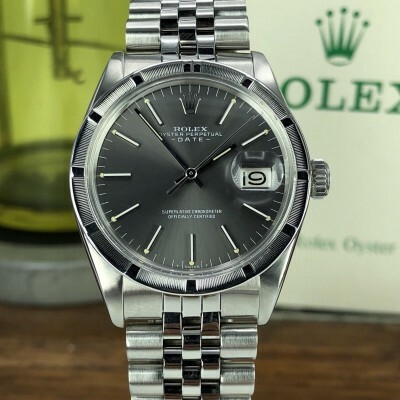 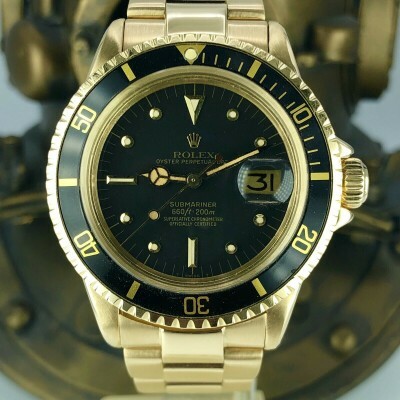 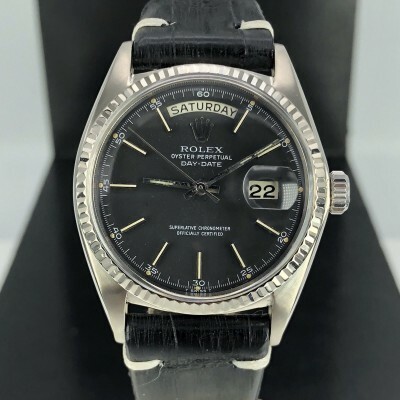 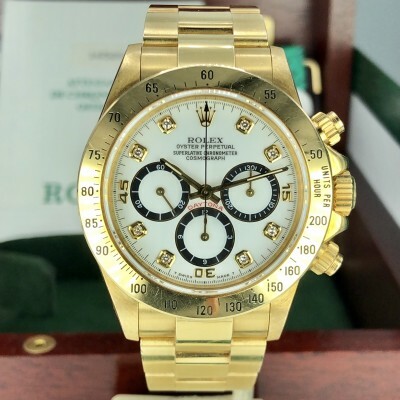 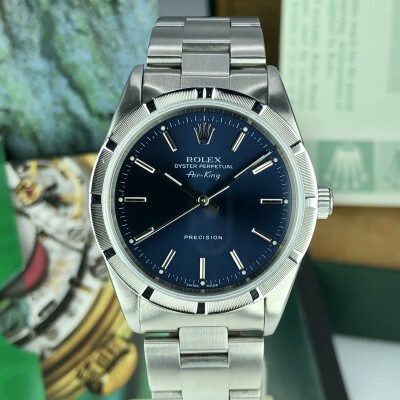 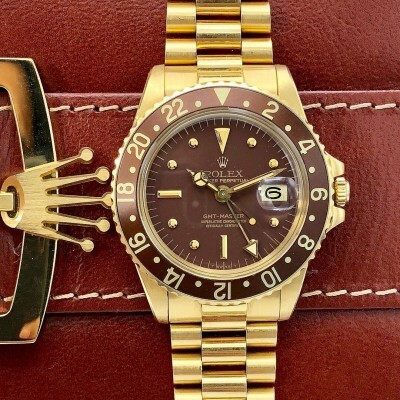 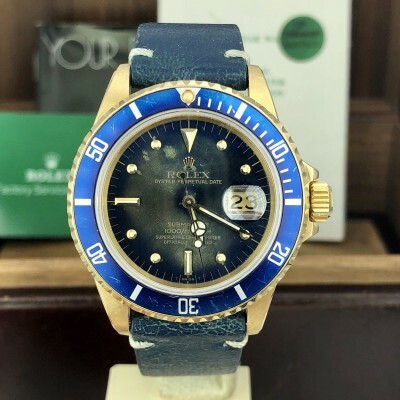 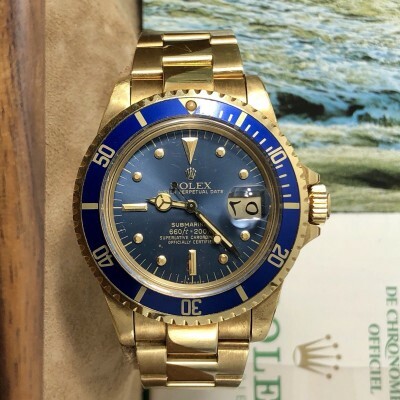 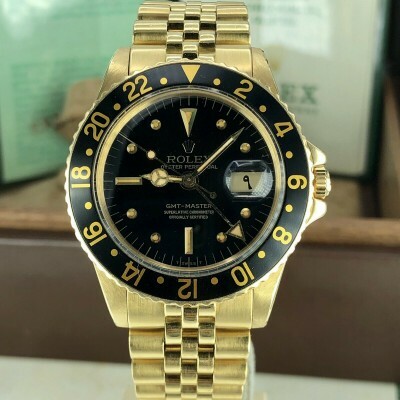 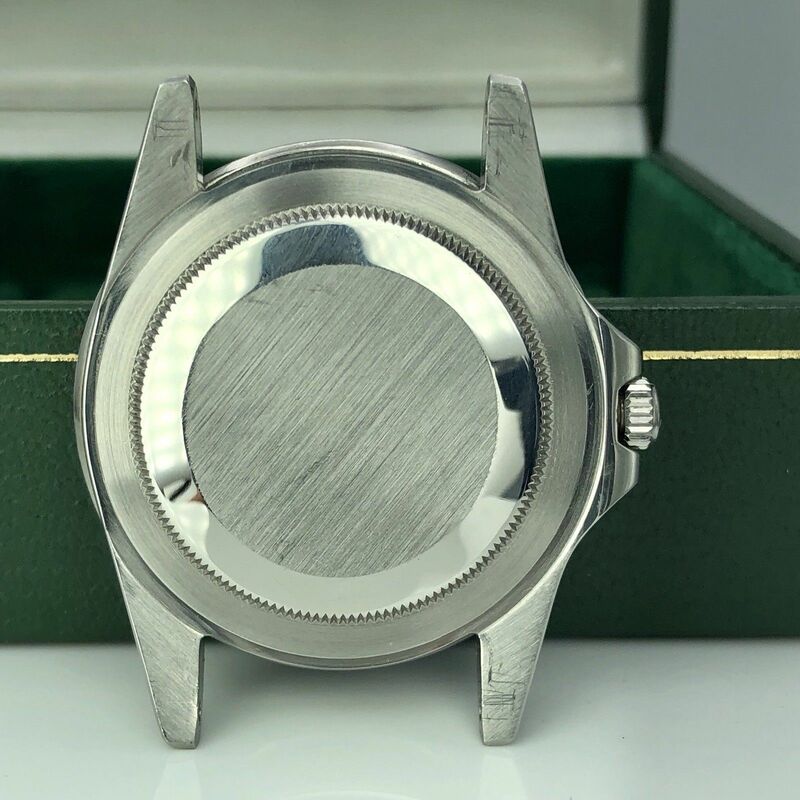 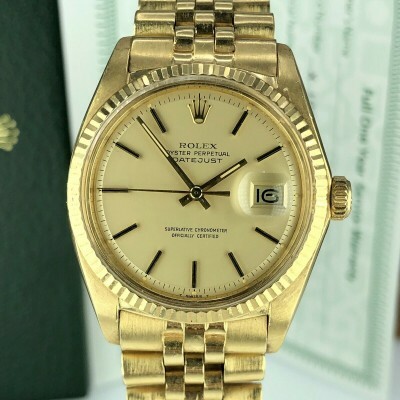 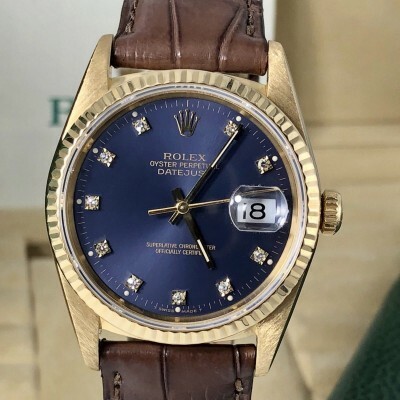 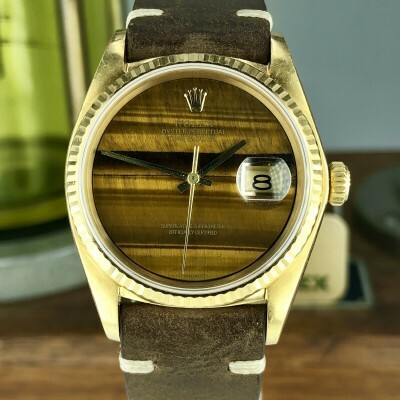 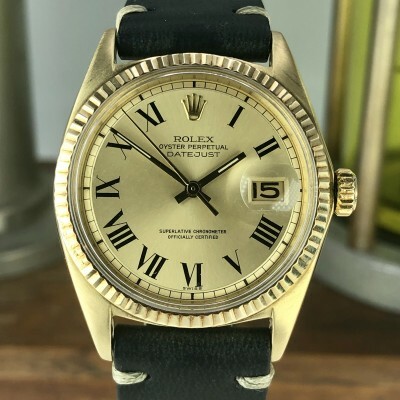 Accessories: Comes with original vintage rolex inner box.